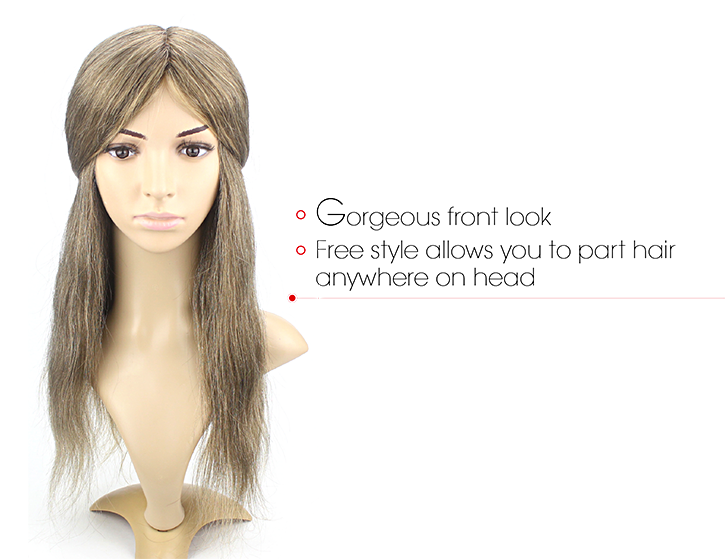 This hair integration system for women can be easily attached and cleaned thanks to its skin perimeter. 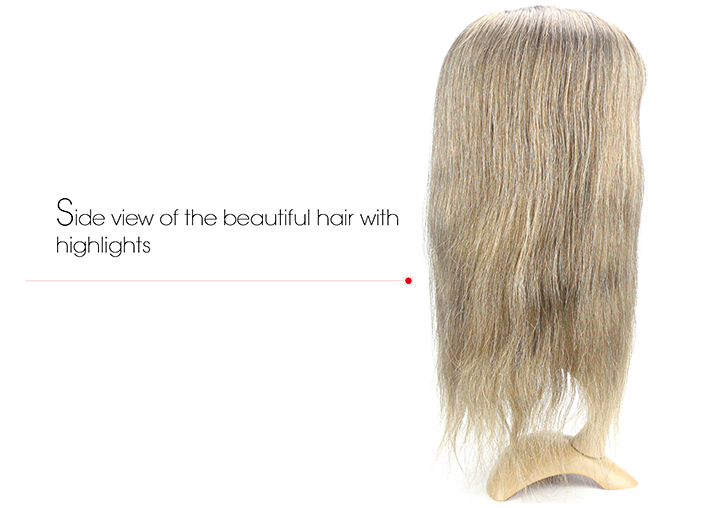 Pull your hair through the holes of the PE net (customized as per your request) to give yourself a beautiful head of hair. This is a custom made hair integration as an example, all the specifications will be customized according to your own need. Below are the specifications of the products shown in the pictures for your reference. PE line with 1" super thin skin perimeter.  Hole size of the PE line is 1/4" x 1/4". It can be made with 1/2" x 1/2" if needed. If you don't specify, we will make 1/4" x 1/4". If you need bigger hole size than 1/2" x 1/2", please consult us before placing your order. 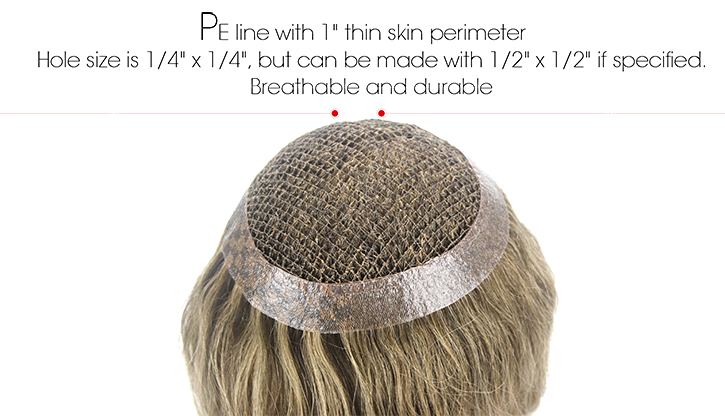 Breathable, light and druable; allows people to wear a custom hair replacement system without shaving their own thinning hair. Need pull out your own hair out of the holes.